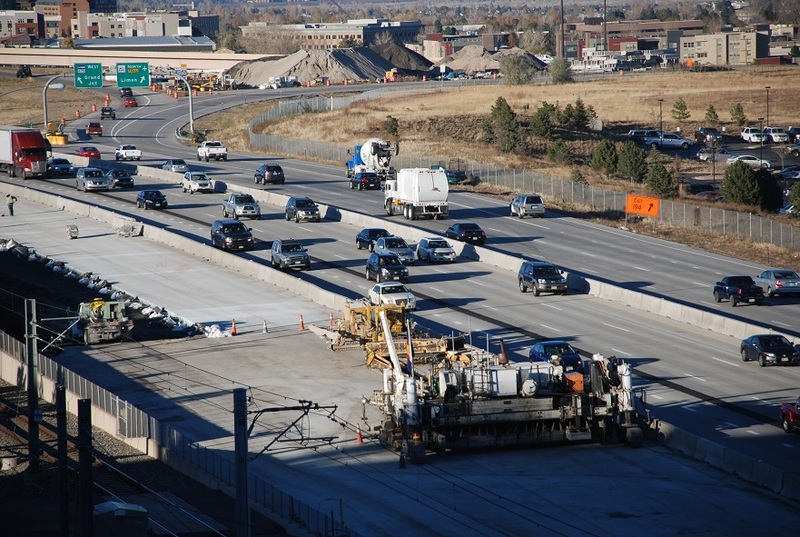 This project added an additional lane in each direction on I-25 from Lincoln Avenue to County Line Road, resulting in four lanes in each direction south of the C-470 interchange. In addition to expanding capacity on I-25, crews replaced asphalt with concrete to better match the I-25 corridor. This project improved the traffic patterns from and to all affected ramps as well as constructed new pedestrian connections. Interstate Highway Construction (IHC) was selected as the contractor for this high priority project. During construction, three lanes of traffic were maintained in each direction with limited exceptions for night work, fast-track concrete work and major traffic shifts. Four lanes opened along northbound I-25 in November 2015. The fourth lane of southbound I-25 opened in early March 2016.